Recently, the Guardian published a story on Heineken’s claims that its business brings social and economic benefits to the African region. According to the author, Oliver van Beemen, who spent years researching the Dutch company’s history in Africa and has written a book on this subject, such claims are misleading, citing low-wages for entry-level employees and Heineken’s use of “beer promotion girls” who were exposed to sexual exploitation and other serious risks. While proponents of corporate social responsibility (CSR) may argue that companies are fulfilling their ethical obligations and contributing positively to society, critics argue that CSR is primarily a public relations strategy, implemented to improve a firm’s image and thwart regulation. Heineken, along with other major transnational alcohol producers, who are increasingly under public pressure and regulatory threat due to the high burden of disease attributable to alcohol, are increasingly employing CSR initiatives. Companies are not humble about such activities. AB InBev espouses their ‘Better World’ strategy “to make the world a better place” and Heineken claims that “Brewing a Better World’ is one of their four business priorities. 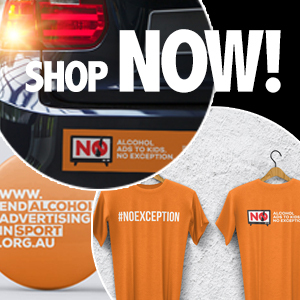 In 2012, alcohol industry bodies compiled an online inventory of over 3,500 ‘industry actions to reduce harmful drinking’ to show their support and contributions to the World Health Organization’s (WHO) Global strategy to reduce the harmful use of alcohol, adopted by WHO in 2010. Considering the significant contribution alcohol makes to the global burden of disease and the possible conflict of interest underlying such activities, it is appropriate to take a deeper look at such initiatives. For this purpose, a content rating procedure has been developed to allow for systematic analyses of such activities (Babor, Robaina, Brown). This procedure has been used in regional analyses (Pantani et al., 2016; Robaina et al., 2018) and in an analysis of alcohol industry actions in the area of drink driving (Esser et al., 2016). 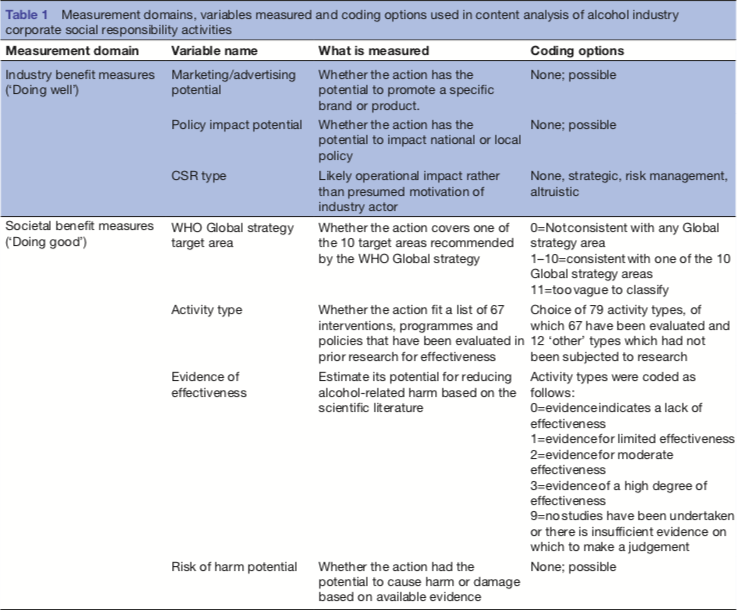 This global analysis showed that only 3.2 per cent of the sampled alcohol industry’s actions were consistent with evidence-based recommendations, and therefore very unlikely to reduce alcohol-related harm. For the African region, only one action (1.4 per cent) was consistent with the evidence base. In terms of benefits accruing to the industry however, 43.5 per cent of CSR initiatives conducted in the African region were found to have the potential to market a specific brand or product. This is significantly higher than actions conducted in high-income regions, perhaps due to differing regulatory frameworks. Surprisingly, 63.8 per cent of the sampled actions from the African region included some type of collaborating partner. Nearly 15 per cent of these partnerships occurred with government bodies, such as police or Ministries of Transport. As public health advocates, NGOs and policymakers, we should not allow ourselves to be duped into believing that companies, their trade associations or front groups can or will act as legitimate partners in reducing alcohol-related harm when the reality is that, beyond the occasional symbolic act, their primary objective is to further their own interests. Those who do partner with producers like Heineken may be putting their own reputation and programmes, not to mention the communities they are meant to serve, at jeopardy. After inquiries into Heineken’s use of women as beer promoters, the Global Fund to support AIDS, Tuberculosis and Malaria (supported by Bill Gates) suspended its partnership with the company and Dutch ASN Bank removed Heineken from its sustainable investment fund. Activities implemented under the guise of CSR serve to project an image of socially responsible products and companies, improving a company’s standing with the public and with policymakers (the “halo effect”). Several studies show they are utilised as a regulatory management tool to delay or thwart effective policy approaches. Similar to CSR activities conducted by tobacco and soda companies, alcohol industry CSR initiatives are frequently used to market their products. This is particularly true in the African region. The overwhelming number of activities based on approaches of unknown effectiveness, or on approaches shown to be ineffective, the level of marketing associated with these activities and their potential use to influence policy raises serious questions about the industry’s motives. We must continue to investigate, and when appropriate, refute the claims of corporate actors (for example Heineken, AB InBev) in terms of their actual impacts in the communities in which they operate. It is also crucial that researchers effectively convey their research findings to NGOs, public interest groups and policymakers. First published on the IAS blog.